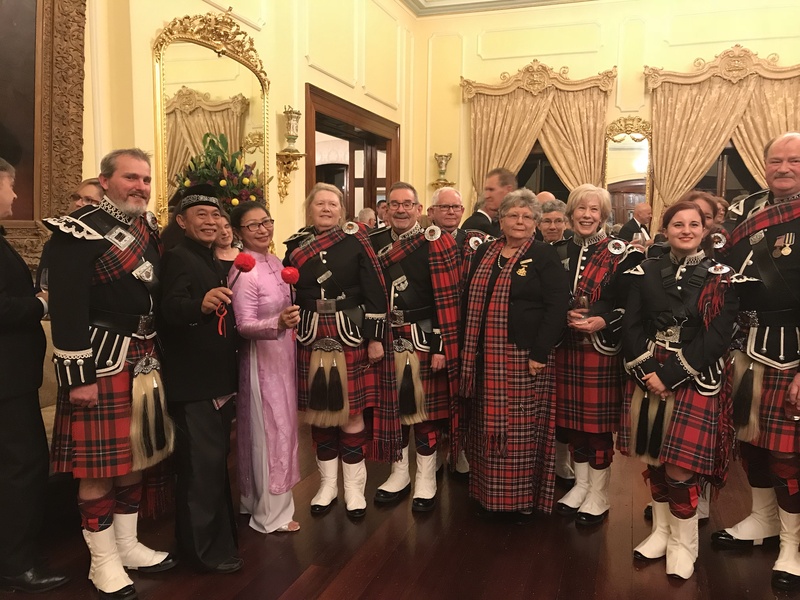 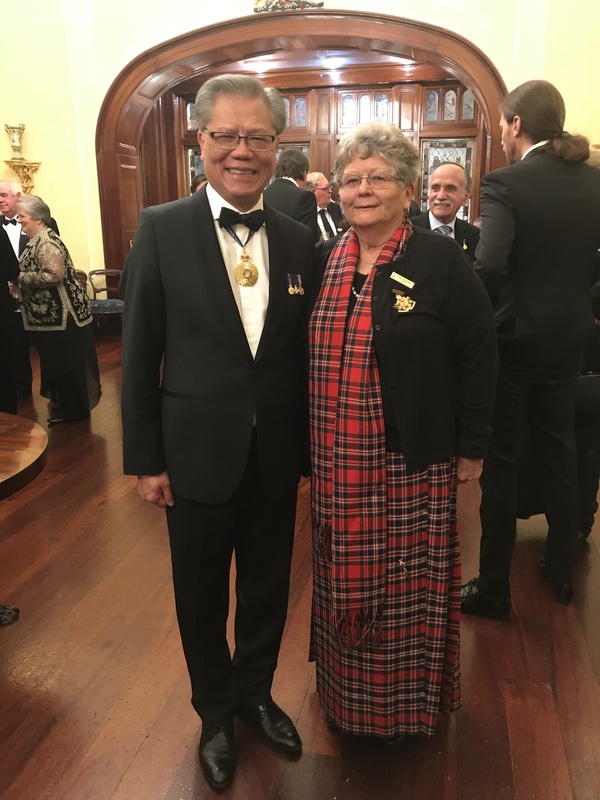 His Excellency the Honourable Hieu Van Le and Mrs Lan Van Le with The Pipes & Drums of The Royal Caledonian Society of South Australia at Government House Adelaide. 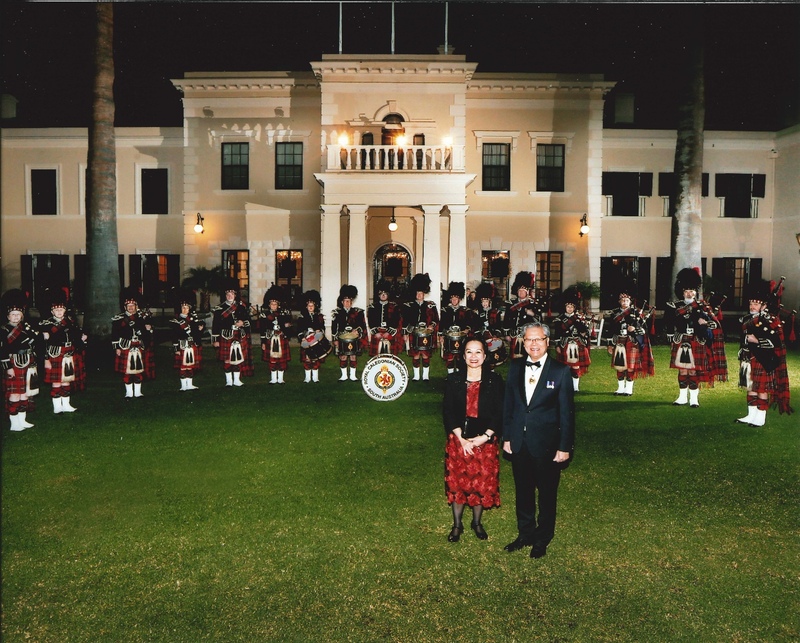 Pipes & Drums of The Royal Caledonian Society of South Australia perform at Government House Adelaide. 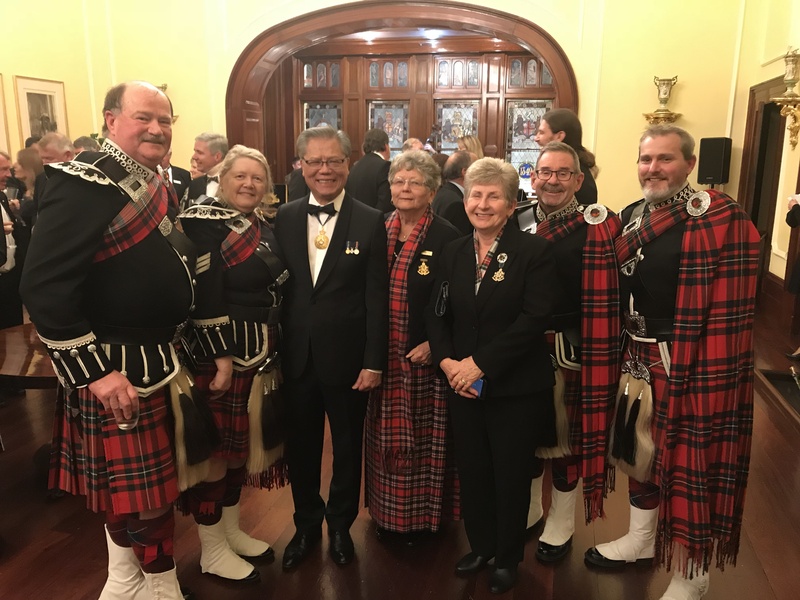 His Excellency the Honourable Hieu Van Le, Chief of the Society, Ann Wickham, Society Secretary Christina Cockerill and Royal Caledonian Society Band Members. 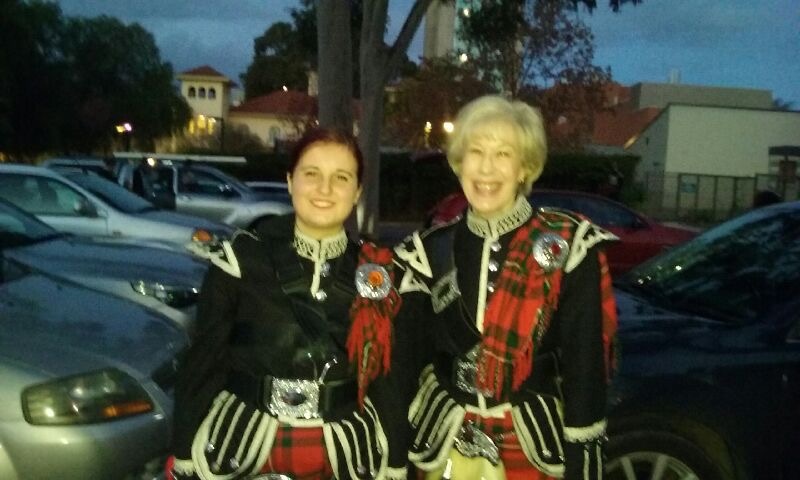 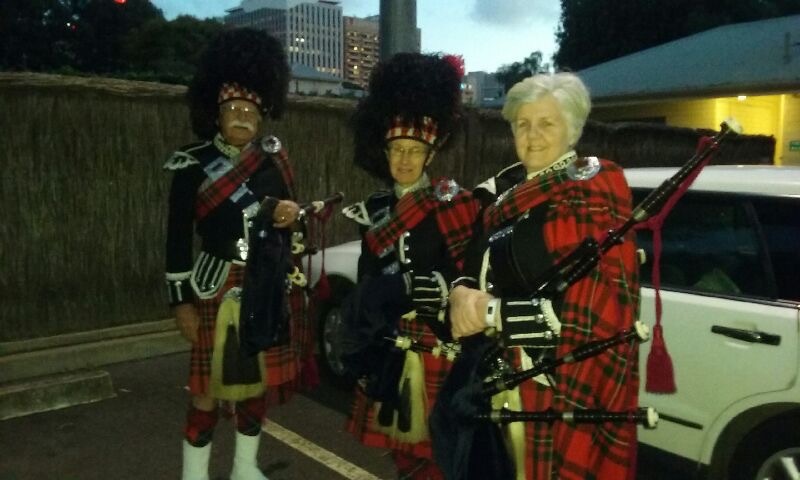 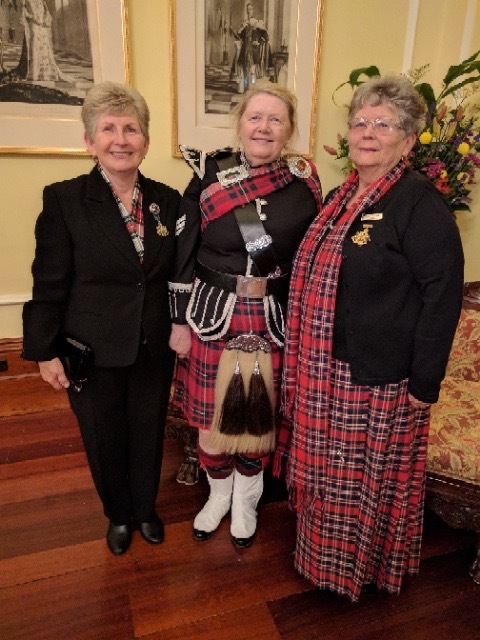 L-R Royal Caledonian Society of South Australia Secretary Christina Cockerill, A/Pipe Major Heather Pennell and The Chief of the Society, Ann Wickham. 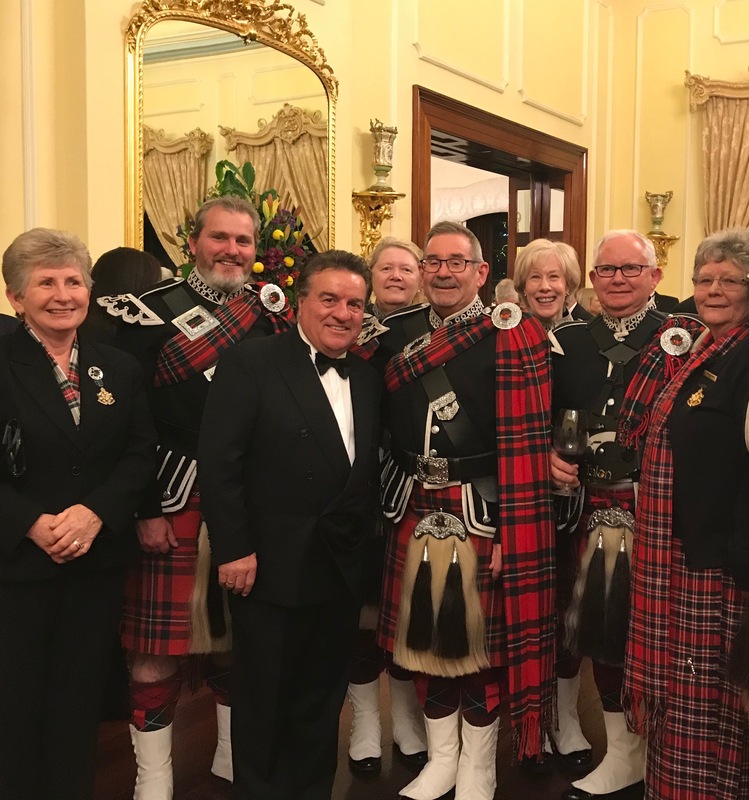 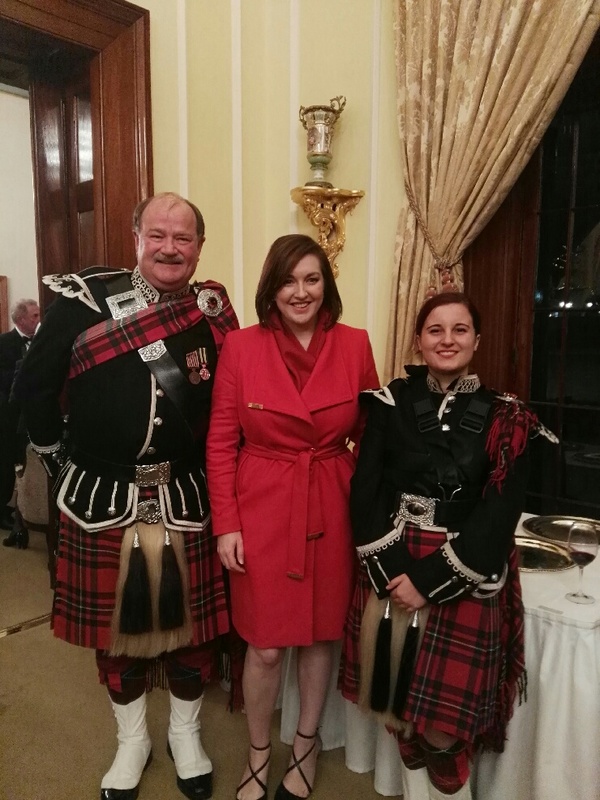 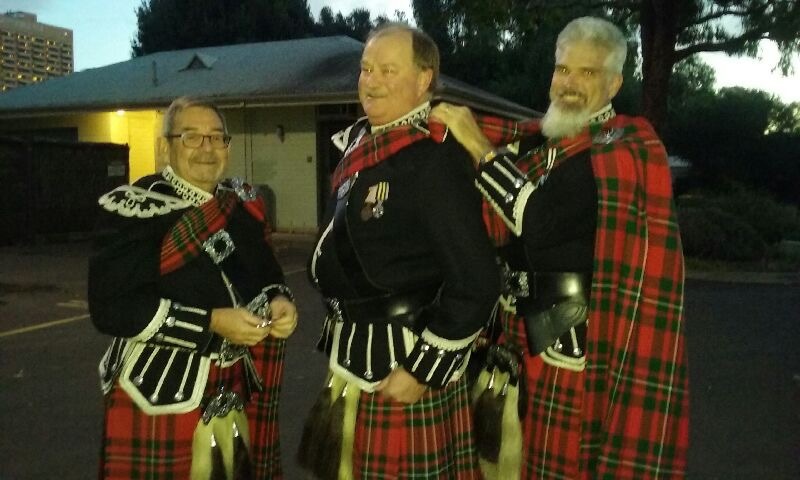 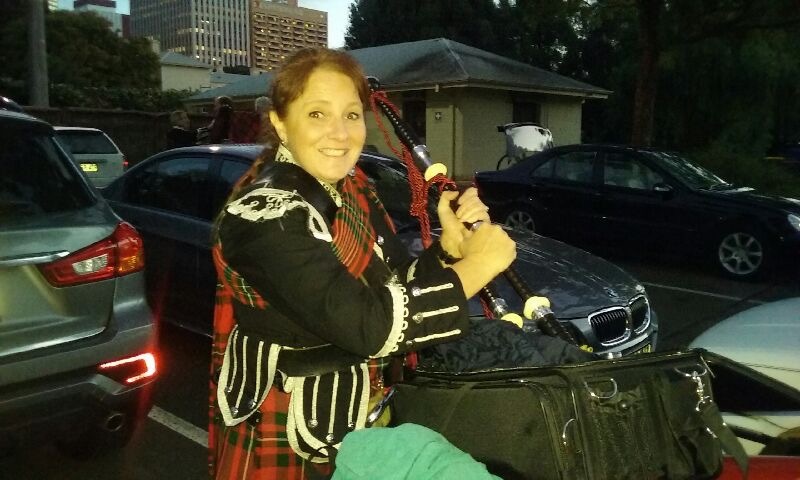 Pipes & Drums of The Royal Caledonian Society of South Australia, with invited guests.